In their study for the Macdonald-Laurier Institute, "What Do Muslim Canadians Want? The Clash of Interpretations and Opinion Research," Christian Leuprecht and Conrad Winn open with a discussion of ways to understand Muslim attitudes in Canada, then go on to discuss specific data. I shall follow their organization and discuss these two topics separately, followed by a conclusion. Paradigms for understanding Muslim attitudes: Two of the three paradigms hypothesized by Leuprecht and Winn assume a uniform Muslim community, with one of them seeing Muslims as uniformly hostile to Western ways and the other seeing them as uniformly accepting those ways. Only the third paradigm, the one they associate with me, espies a multiplicity of views. It makes obvious intuitive sense that Muslims disagree among themselves – what group of people does not? It stands to reason that, in particular, they differ on the compatibility of Islam with Canadian values, a key issue at a time of jihad and of efforts to implement the Shari'a (Islamic law) in the West. Before looking at specific survey results, it bears noting, along with Stephen Schwartz of the Center for Islamic Pluralism, that "Canadian Islam is more moderate, more diverse and more open to debate than American or even British Islam." Why so? Primarily because of the nature of Muslim immigration, which prominently included Qadiri and similar Sufi traditionalists, heterodox Muslims from sub-Saharan Africa, and secularists from Tunisia and Algeria. Schwartz concludes on a positive note that "We should be glad that Canada is different, and offers a place where Muslim sanity is prized, rather than dismissed." Survey results: The survey results confirm this Canadian difference, being more positive in attitude toward the host country than one finds in other Western Muslim populations. Very high approval scores accorded to the Government of Canada, comparable to those of the general population, offers a basis for what follows, as does the fact that Canadian Muslims generally dismiss the notion of Canada as a racist country. 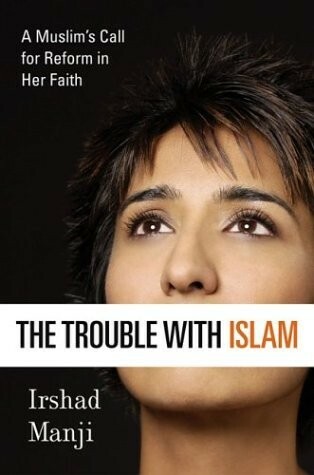 One aspect of Canadian Islam: the cover of Irshad Manji's book. Questions about specific likes and dislikes reveal greater appreciation for generalities (democracy and freedom) than for one's own circumstances (finding employment). I found it especially encouraging that Canadian Muslims understand democracy as not just a system for choosing leaders but as a mentality and a way of life permitting an individual the autonomy to think and act in freedom, to develop his own opinions, and to opt out of politics entirely. Finding a job stands out as a key issue in the Macdonald-Laurier Institute survey. To sense the worry, imagine applying for a job with the name Muhammad or Fatima; non-Muslim employers are wary of taking on Muslim staff for reasons ranging from terrorism to demands for special privileges to fears of litigation. In part, non-Muslims need to deal with their own prejudices; but in part, Muslims must acknowledge the problems they have created and address them seriously and constructively. The question about implementation of the Shari'a stands for its important implications. A substantial majority of 62 percent wish the Shari'a to be in some fashion implemented; when one factors out the don't know/refuse category, that number jumps to 75 percent. This points to what may be the most intractable problem about Canadian Muslims: their desire to march to a different drummer. That 15 percent of Muslim wish to "require Muslims to be ruled by Sharia courts" is particularly alarming; it also confirms my estimate that Islamists make up some 10-15 percent of Muslim populations. The 3 percent support of Al-Qaeda points to the hard-core Islamist element in Canada – not very large, but 3 percent of a Muslim population of some 700,000 comes to about 20,000 individuals with very dangerous sympathies and ideas. This information should alarm and rouse the immigration and security services alike. 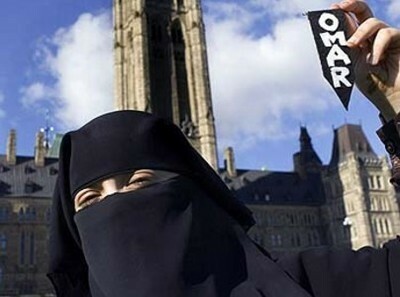 Another aspect: Zaynab Khadr demonstrating on Parliament Hill, Ottawa. The 13 percent approval of Israel in this study differs from a noteworthy estimate forwarded by Conrad Winn in 2004, when he suggested that a fifth of the Muslim population of Canada thinks "Israel is right on just about everything," but the figures do not differ by much and the new one can be seen as an order-of-magnitude confirmation of the old one. So too, the observation in the present study that "pro-Israel feelings were sometimes voiced as a reaction against anti-Israel vehemence" echoes Winn's observation seven years earlier that "Quite often [a pro-Israel outlook] is a reaction against what they would view as extremist leaders in their own communities or in their country of origin." When it comes to extremist views, Leuprecht and Winn acknowledge their surprise: "we expected religious participants in the focus groups to be more radical in their views. In contradistinction, the most radical political views tended to be expressed by relatively secular people, often equipped with higher education in the social sciences, while devout Muslims were sometimes the most articulate advocates for Canada and democracy." This pattern establishes that Islamic piety is not in itself a problem; and that political outlook is the key to attitudes. Seculars can be extreme and the pious moderate. 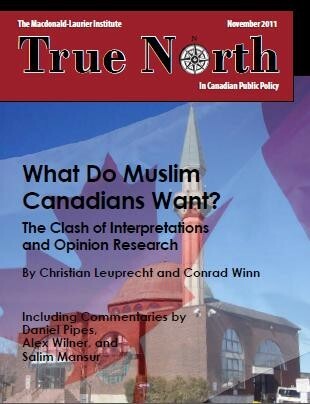 Conclusion: Leuprecht and Winn find that while the attitudes they uncovered fit none of the three paradigms perfectly, they conclude that the polling data "suggest that Canadian Muslims fit best the paradigm of a divided community with heterogeneous opinions as expressed by Daniel Pipes." On the one hand, I am gratified by this conclusion. On the other, I wonder how else one might characterize a community made up of hundreds of thousands of individuals. Surely no one expects them to be of one mind, implying that Islam turns believers into automatons who lose their ability to think for themselves but are instead dominated by a leadership that programs them. No human population fits this description. And if this notion of a quiescent people were once convincing, surely the Middle East uproar during 2011 suggests that even peoples who obey for decades retain a fire within them that unpredictably can bring down their rulers. Libyans, whom many assumed accepted the ravings of Mu'ammar al-Qaddafi, turned out, for example, to have been thinking for themselves. The Leuprecht-Winn study reveals a number of problematic attitudes, from desire for Shari'a to support for Al-Qaeda, but it also establishes that Canada has the most moderate, diverse, and open Muslim population in the West. Not only is this an advantage to build on but it suggests a potential role for moderate Canadian Muslims to take their message and perhaps their institutions to other Western countries. Related Topics: Muslims in Canada | Daniel Pipes receive the latest by email: subscribe to the free mef mailing list This text may be reposted or forwarded so long as it is presented as an integral whole with complete and accurate information provided about its author, date, place of publication, and original URL.